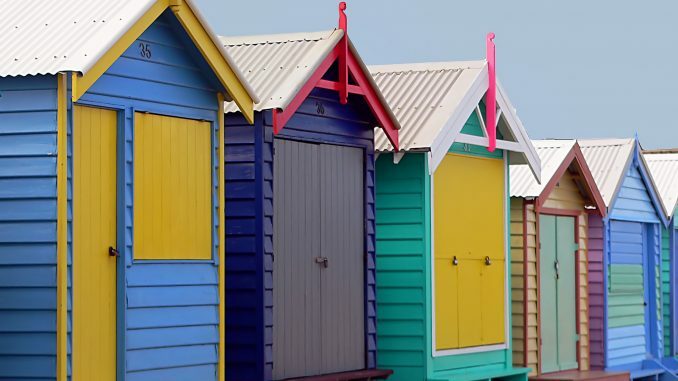 The Brighton Bathing Boxes are multi-colored timber huts that line the beach of one of Melbourne’s most exclusive neighborhoods. 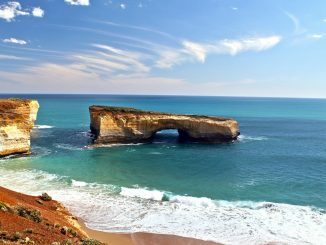 Brighton was for many years in the late nineteenth century the favorite seaside destination for of residents of Melbourne, and the bathing boxes were a place to store all of things you might need while relaxing on the beach. It’s extremely rare for them to hit the secondary market. Most of the boxes have been passed down for generations and are considered well-loved members of the family. While they are most often visited by tourists looking for a great photo, the Brighton Bathing Boxes actually have a long and colorful (I couldn’t resist) history. 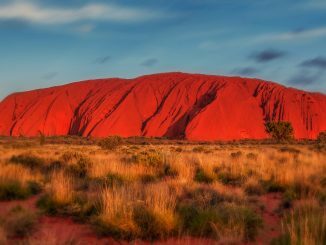 They were built more than 100 years ago at a time when Australians were somewhat more modest. The bathing boxes evolved over time from wheeled bathing machines used during the Victorian era to preserve modesty, to the iron roofed, timber framed huts that exist today. George III used a bathing machine at Mudeford in 1801, and in the 1840s, Queen Victoria had one installed at Osbourne House on the Isle of Wight. It was not just Australia that suffered at the hands of Victorian morality and similar bathing boxes once lined the beaches of England, France, and Italy. The bathing boxes can only be sold to locals whose primary residence is the Bayside area, and there are some very strict rules that determine what the boxes can, and cannot be used for. The boxes are not allowed to have electricity or running water, and despite their perfect location, cannot be used for overnight camping. Overlooking the shocking lack of modern conveniences, the bathing boxes more than make up for it with incredible views. The Brighton Bathing Boxes are one of the most photographed spots in the city. In 2017 a Brighton Bathing Box sold for more than $325,000. The most popular, and subsequently most photographed is Box 2 which features the Australian Flag. Records of the Brighton Bathing Boxes go as far back as 1862. There are nearly always people lined up to take photos of the bathing boxes, so a perfect photo is next to impossible without a lengthy wait.